Walter O’Malley definitely knew what Vin Scully, the brilliant redhead from Fordham University, meant to the Dodger organization when he said, “People ask me, ‘Who is the greatest Dodger? It’s Scully. You know we hired him right out of school.’” Without question, the influence of Scully on the West Coast made Los Angeles baseball what it is today. 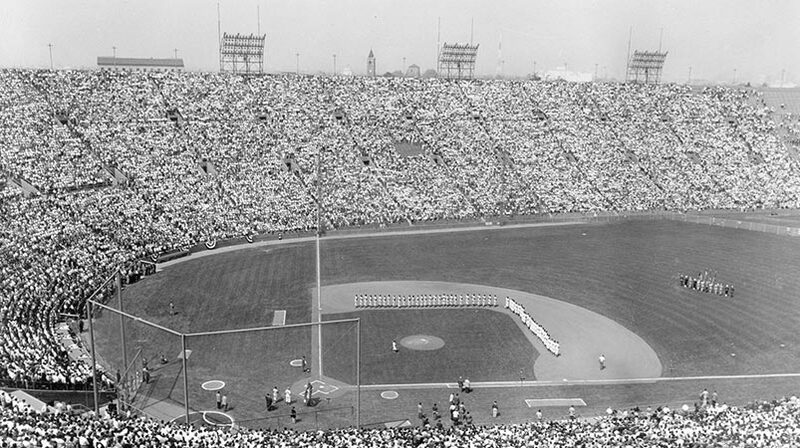 As he literally taught generations of Dodger fans about the nuances of the game and its history, Scully transformed hundreds of thousands of radio listeners and television viewers into loyal team followers. But, he did it in the most professional way possible — objectively. He is tried and true Dodger blue through and through, but his broadcasting style makes him an independent observer of the action, a best friend chatting with the listener about what he is seeing on the field and in the stands. Scully’s storytelling style, mellifluous voice and poetic descriptions of the game earned him a spot in Dodger lore when he was voted the team’s Most Memorable Personality in 1976. Equally comfortable discussing Shakespeare, “Of Mice and Men” or the infield fly rule, Scully’s breadth of knowledge, class and quick wit have endeared him to fans of all ages. The wordsmith learned from his father figure Red Barber, considered one of the most enjoyable to listen to because of his soothing voice and colorful descriptions. 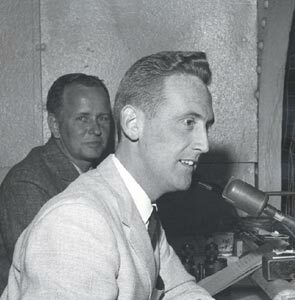 He learned his craft by observation and with feedback from Barber, who told him to “there is one thing that you can bring to the booth that no one else can and that is yourself.” Scully never has permitted himself to get too close to the players, because it might tinge his objectivity. Another important influence on Scully was Connie Desmond, a talented broadcaster who was like an older brother to him. They worked together for six seasons, prior to the arrival of Scully’s top sidekick, the capable Jerry Doggett. That combination worked together for 32 years and became the toast of Los Angeles. 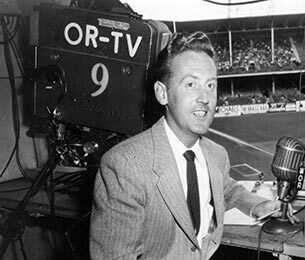 In the meantime, Scully branched out to become a popular network broadcaster, calling many of the World Series most exciting games. In its April 26, 1998 issue, the Los Angeles Times Magazine called him the “Most Trusted Man in Los Angeles.” Scully has been behind the mike for virtually every significant great moment in Dodger history for 67 seasons, while his honors and awards could fill a warehouse. He was named recipient of the Ford C. Frick Award and inducted into the National Baseball Hall of Fame in 1982; received a star on the Hollywood Walk of Fame in 1982; honored as the press box at Dodger Stadium was named the “Vin Scully Press Box” in 2001; earned the Lifetime Achievement Sports Emmy Award by the National Academy of Television Arts and Sciences in 1996; was voted “Sportscaster of the 20th Century” by more than 500 national members of the American Sportscasters Association in July 2000; and the street leading to the main entrance of Dodger Stadium was named “Vin Scully Avenue” by the Dodgers and the City of Los Angeles on April 11, 2016. He retired on October 2, 2016. 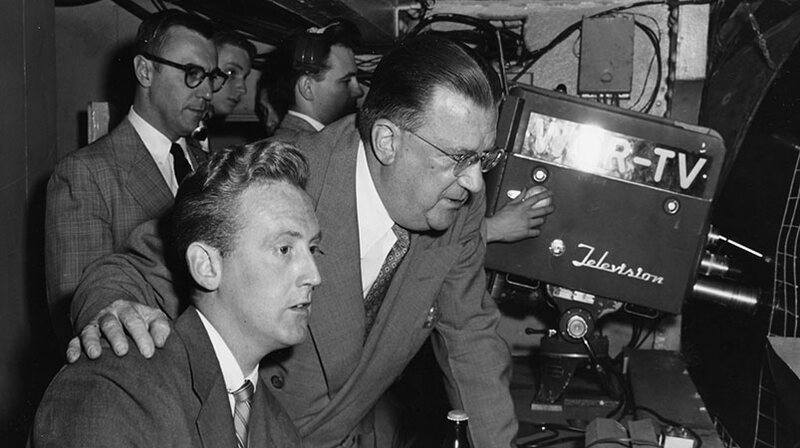 Jerry Doggett and Vin Scully broadcast the final game at Ebbets Field.